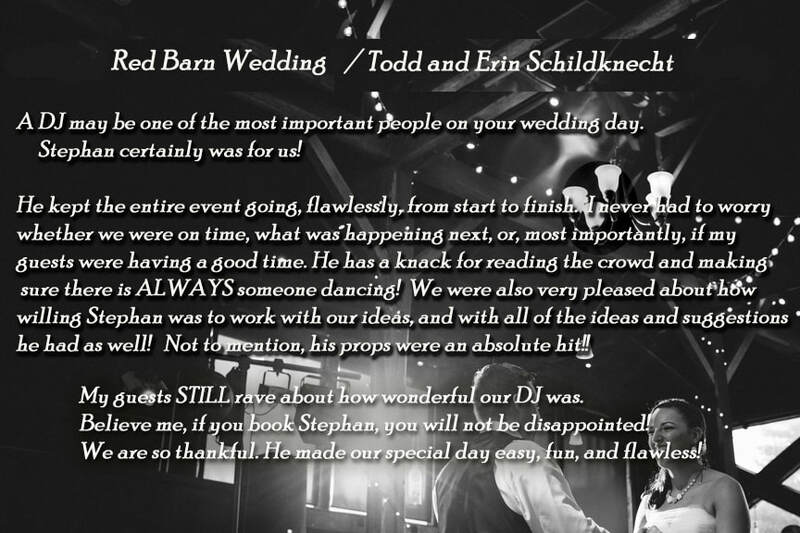 We are so glad we booked Stephan for our wedding in June! He had the dance floor packed all night which was a top priority for us! So many of our guests commented on how great he was. Months later people are still talking about him and what a amazing job he did. Leading up to the wedding Stephan gave us some great ideas for some fun games to play during the wedding to get our guests involved and listened to all of our requests! We had an extremely long do not play list for him and he followed it perfectly. 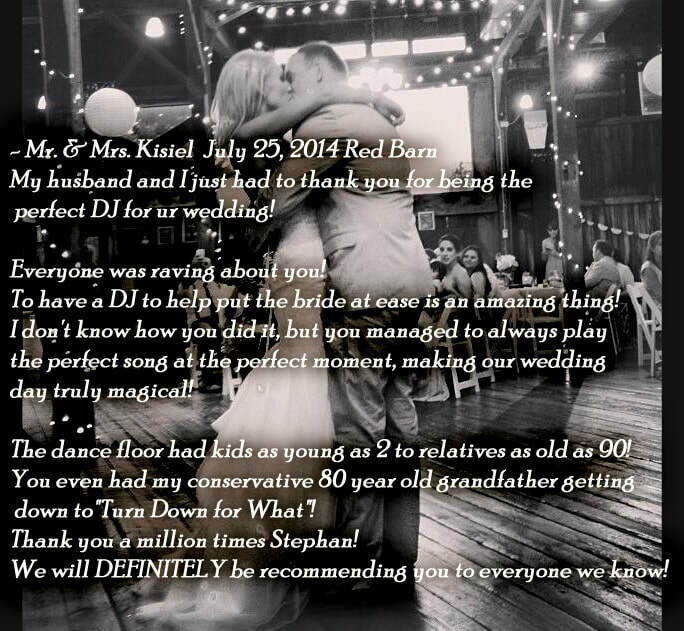 Stephan has a great, fun, outgoing personality which definitely shows while he is DJ'ing. 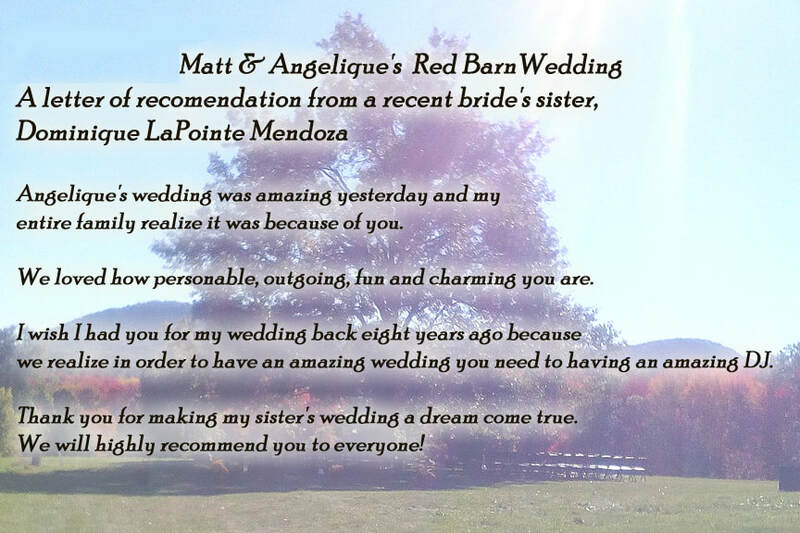 We would definitely recommend him for any event!